Susie Qute: Gift for Thrift! Great haul from a yard sale in Columbus! 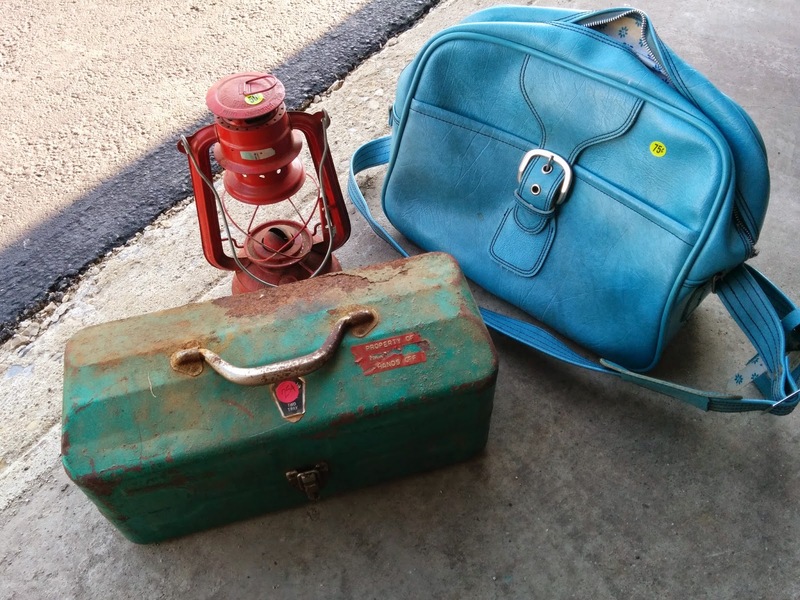 Vintage flight bag, lantern, and toolbox for $2 total. I can see the tool box becoming a tabletop herb garden. It has two trays inside that would be perfect for holding a few shallow pots or planting trays. 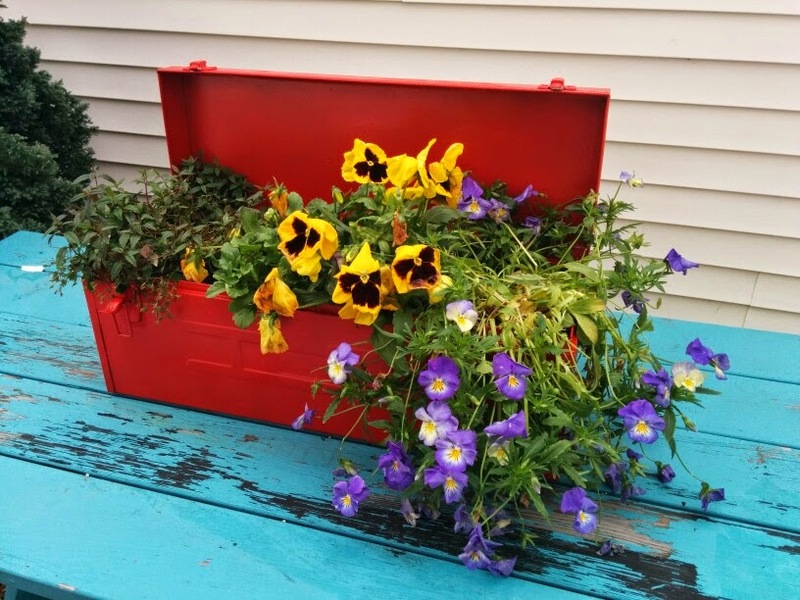 I recently repurposed an old toolbox as a flower planter so this one will probably find a home with my mom, who shares my love of upcycling. The vinyl carryon bag has a white lining printed with blue daisies. After a bit of elbow grease it will be a very serviceable knitting or overnight bag. Whenever I buy old bags, I sniff carefully for mildew or weird smells. Happily, this one checked out. Here's a pic of the toolbox I snagged at a Volunteers of America store in east Columbus for $7. It was an ugly brown. Bonus, it came with a removable metal tray inside, sure to be featured in a future post (as soon as I think of something to do with it). I don't go to many yard sales these days because I've been on so many wild goose chases due to poor signage. If there's one right on the road I'll stop, otherwise, I prefer thrift stores. I know some who have a yard sale strategy, mapping out routes, etc., but I like shopping on a whim.